SnapLock Industries of Salt Lake City, Utah has experienced tremendous growth in the last decade while positioning itself as the industry leader in modular flooring. SnapLock announces and celebrates a massive warehouse expansion as a result of this growth. As the parent company for leading global brands that include RaceDeck® garage flooring, SnapSports® athletic surfaces, DuraGrid® matting , FastDeck® portable floors and SnapLock® dance floors, SnapLock continues to thrive as a highly diversified and innovative line of products for consumers. “With the incredible growth and success our company has seen, the expansion of our manufacturing facility was a necessity. As a result, SnapLock has set the standard in the modular flooring industry through constant innovation and superior technology,” says CEO Jorgen Moller. With so many companies in the flooring industry outsourcing all or part of their manufacturing to foreign companies, the family-run SnapLock offers an industry leading product line that is truly Made in the USA. For over four decades, the SnapLock family and team have been engineering and manufacturing modular flooring brands for use around the world. Located in Salt Lake City, Utah, SnapLock manufactures its products 24 hours a day, 7 days a week, and 365 days a year. SnapLock’s 150,000 square foot facility is ISO 9001:2008 quality-certified, manufacturing the entire product line in the USA. 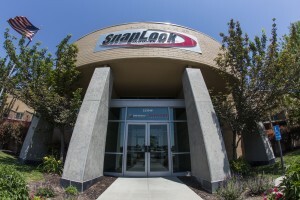 With unparalleled, hands-on experience in innovation, engineering, manufacturing and logistical expertise for modular flooring systems, SnapLock Industries is the undisputed industry champ. It may have been pouring down rain today, but that did not stop the GoodGuys Road Tour from showing up with some sweet rides, including some Kindig-it Design and Rad Rides by Troy, Inc. rolling up. We did a full tour of our 100,000 sqft facility and brought out a few of our rides as well like the Kindigit 49 Chevy Truck and our latest addition to the RaceDeck Speed Garage, the 64′ Malibu Twin Turbo LS on a Roadster Shop chassis. 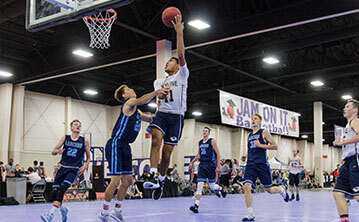 As the Amateur Athletic Union (AAU) continues to experience growth across the nation, the focus this weekend shifts to the 2014 Big Mountain Jam tournament taking place in Utah June 26-28th. This is also the home of SnapSports Athletic Surfaces, long time AAU partner and official flooring provider for many national tournaments including Big Mountain Jam. The 2014 Big Mountain Jam will feature over 28 SnapSports Indoor ShockTower® surfaces chosen for top ratings in performance and ease of installation. In addition to featuring the BMJ Team Camp and High School Team Tournament, Boys and Girls age 4th grade through varsity will comprise over 300 teams competing in the three-day tournament. SnapSports is ecstatic to have such a big presence at an event in their city. The 5th annual Big Mountain Jam – All Under 1 Roof is presented by Jam On It Basketball Academy. 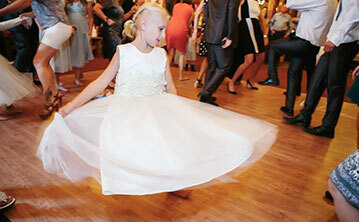 ‘Jam On It’, now in its 23rd year of tournament hosting, is recognized as one of the premier event operators in the country hosting over 40 tournaments a year. Big Mountain Jam has shown exceptional growth since its creation with teams from Utah, Nevada, California, Idaho, Colorado, and Canada regular attendees of the event. The growth and influence of AAU continues to be applauded and recognized with another SnapSports partner, the NBA, vocalizing intent to strengthen their relationship with the organization. AAU tournaments are professional events that are fun and guaranteed safe for athletes of all ages. For the safest surface on the market, Big Mountain Jam chose SnapSports Indoor ShockTower®, the only modular surface with a shock absorption system built into the under-structure of the floor. Athletes, coaches, and AAU Officials alike look forward to competing on the tournament surfacing. SnapSports, the industry leader in modular athletic surfacing, is the official sports surfacing of the Jam On It organization. SnapSports multi-patented features, including the BounceBack, ShockLock, ReAcitvePlay® and ShockTower technologies work together to create the ultimate playing surface that is easy to use, resilient, and provides superior shock absorption easing the impact on players joints. SnapSports products are specifically engineered with safety and performance in mind, which is why they are the top choice of coaches, athletes and facility directors world-wide. SnapSports surfaces are approved for competition by FIBA, the world’s governing body for the sport of basketball. Salt Lake City based SnapSports® will team with the NBA® for the 2014 All-Star Jam Session set to take place February 13th-16th at the Ernest N. Morial Convention Center in New Orleans, Louisiana. Over 100,000 square feet of SnapSports patented, high-performance athletic surfacing will outfit All-Star Jam Session, the premier NBA fan event of the 2013-2014 season. 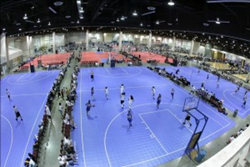 The event will bring national press and recognition to SnapSports, owned and operated by the Salt Lake City Family largely responsible for pioneering the modular sports flooring and outdoor court industry you are familiar with today. Each of the 15+ courts used during the 2014 All-Star Jam session were engineered, manufactured, and shipped from SnapSports Salt Lake City manufacturing facility. As the first athletic surface is scheduled for installation on Friday February 7th, the team at SnapSports could not be more elated with the NBA Partnership. Fans of all ages are invited to attend the NBA All-Star Jam Session which promises wall-to-wall fun for the entire family. An estimated 100,000+ attendees will have the chance to dunk, shoot, dribble, and display their own all-star skills on over 15 basketball courts featuring industry leading sports surfacing provided by SnapSports. The interactive event notably gives fans the chance to meet current NBA stars as well as NBA legends, creating an unforgettable experience for basketball fanatics. “Everyone at SnapSports is proud to be working with the NBA and supplying more than two acres of our top rated basketball surfacing for this year’s NBA All-Star Jam Session in New Orleans,” said Jorgen Moller, SnapSports CEO. The surfaces chosen for use during the 2014 NBA All-Star Jam Session deliver not only top rated safe play but superior performance. SnapSports athletic floors are applauded worldwide for their ease of installation and patented technology that delivers the look and feel of a suspended hardwood floor without the maintenance, hassle, and cost. SnapSports surfaces feature the patented ShockLock® interlocking system which delivers vertical and lateral shock absorption, an industry first, guaranteeing greater protection for athlete’s joins during high impact play. 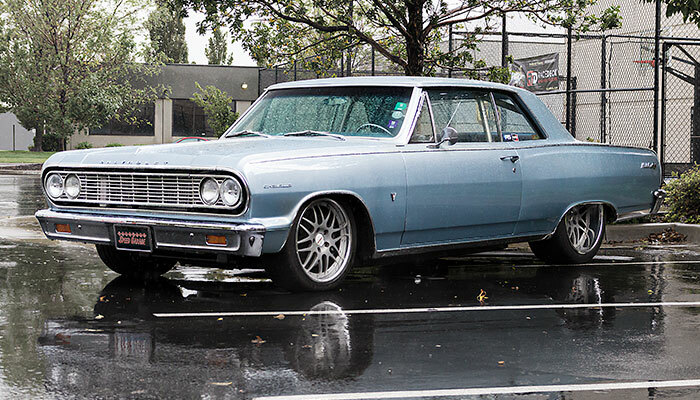 RaceDeck® garage floors, the world’s leading garage flooring manufacturer and supplier continues its longstanding partnership with GoodGuys Rod & Custom Association, being named the Official Preferred Garage Flooring for 2014. 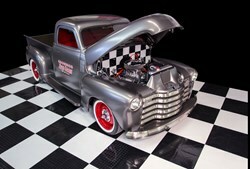 GoodGuys® is the world’s largest premier Hot-Rod association with over 120,000 participating members. “Everyone here at RaceDeck loves being a part of the GoodGuys Rod & Custom Association; hot rods and their culture are in our blood. 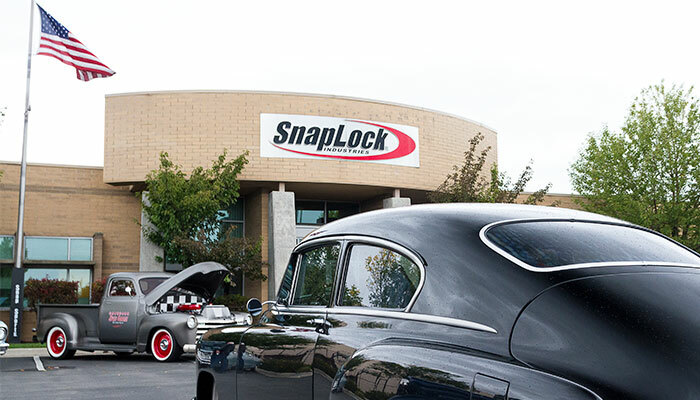 The people and their incredible rides are what we are all about and we’re proud to be part of such a world class organization.” -Jorgen Moller, CEO of Snap Lock Industries – manufacturer of RaceDeck® garage flooring. 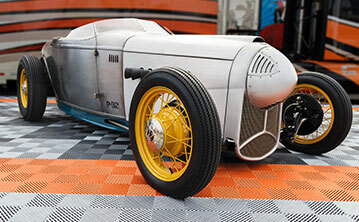 In 2014, RaceDeck is scheduled to exhibit at numerous GoodGuys events around the country and will also be providing flooring for many of the GoodGuys showcased vehicles seen at each show. Members of the RaceDeck staff rave about the fun atmosphere promoted at the events as well as the awesome vehicles that are displayed. 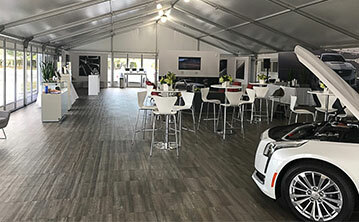 RaceDeck garage flooring is recognized as the world’s leading manufacturer and supplier of residential & commercial garage flooring, as well as the portable event flooring often seen in car show displays and race paddocks around the world. 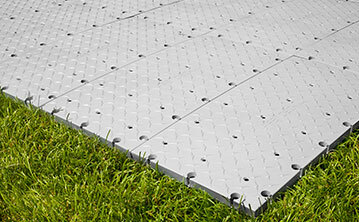 RaceDeck is the ‘original’ modular garage flooring company, pioneering the industry seen today. Many RaceDeck customers are avid hot rod, sport car & show car enthusiasts who are anxious to design a premium show place to park and display their prize vehicles. The multi-patented RaceDeck garage flooring system quickly and easily turns any garage into a personal world-class showroom and guarantees ‘The Coolest Garage On The Block™’. “The members of GoodGuys build and own some of the highest quality custom rides in the world. You will find that the same American Made quality and pride goes into every RaceDeck floor we manufacture, that is why we are the #1 choice of GoodGuys members and the industry as a whole,” said Moller. Goodguys offers over 20 car show events annually across the country from the Coast to the Coast and all points in between. 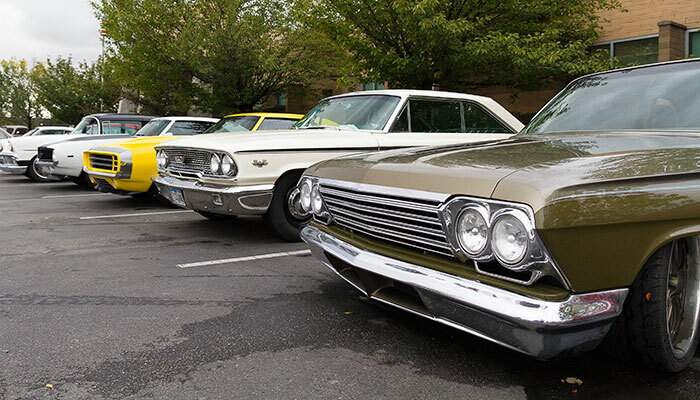 Events feature thousands of candy colored hot rods and customs, tricked out trucks, mighty muscle cars, and regal classics sprawled throughout venues including lush fairgrounds, super speedways and large outdoor stadiums. Shows range from two-day affairs attended by 35,000, to three and four day extravaganza’s attracting over 100,000 auto enthusiasts. If you want to see some of the coolest hot rod and street rod creations in the world, be sure to attend! For ‘the coolest garage on the block’, be sure to check out RaceDeck’s website. SnapSports® Athletic Surfacing was the flooring of choice for the Japanese National Basketball League (NBL) as they hosted their Inaugural All-Star Games December 29th in Tokyo, Japan. Six events took place on SnapSports® multi-patented Indoor ShockTower® basketball surfacing, beginning with the Japanese Women’s Wheelchair Basketball Exhibition and finishing with the premier of the NBL All-Star Game. High energy Slam dunk, 3-point, and 3 on 3 contests were also held to the delight of the 4,000+ fans in attendance. The National Basketball League, in its first year in Japan, is composed of 12 teams divided into Eastern and Western conferences. A National Basketball Development league is also in place, with 9 teams competing. Together the two hope to increase the popularity of basketball in Japan, becoming the third major sport, alongside baseball and football. SnapSports is the world’s leading manufacturer and provider of backyard courts and indoor multi-sport surfaces. SnapSports multi-patented products are engineered with safety and performance in mind, to deliver superior traction, consistent ball response, and unmatched shock absorption. SnapSports patented ShockTower® Shock Absorption Technology eases the impact on players’ joints, allowing them to play longer today and for years to come. SnapSports floors are engineered to withstand competition at the highest levels, making them the top choice of coaches, athletes and facility directors worldwide. Based in Salt Lake City, the team at SnapSports® have been engineering, manufacturing, and providing the world’s leading outdoor multi-courts, basketball courts and indoor sport surfaces for nearly four decades. As the pioneers of the modular sports surfacing industry, the SnapSports team continues to develop the most advanced, multi-patented, modular sport surfacing and game courts for top athletes and families all over the world. With unparalleled experience and a high performance product line, SnapSports is the industry’s undisputed champion. SnapSports manufactures in their 150,000+ square foot, ISO 9001:2008 Quality Certified facility, operating 24×7 and supported by an authorized global network of dealers. At this year’s National Athletic Business Conference & Expo, three generations of modular sports flooring were all together at the SnapSports® display, including Dan Kotler, the inventor of the backyard game court industry. SnapSports the world’s leading manufacturer and supplier of premium sports flooring and outdoor athletic courts, joined forces this weekend with three generations of the SnapSports family, an industry first.Dan Kotler, the inventor of the modular backyard game court industry was at the SnapSports booth with his wife Carol along with their grandson Adam (sports sales) and his daughter Kerry and husband Jorgen (Owner / Operators – SnapSports ). Over 40 years ago, Dan Kotler had the idea to create a space in family backyards where everyone could safely enjoy all of their favorite sports. 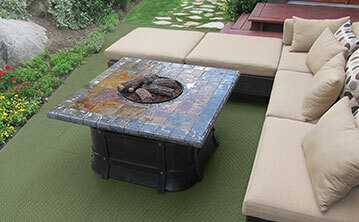 That simple, but brilliant idea has grown into the outdoor game court industry you see today. Dan who sold his company and retired in the mid 90’s, often comes by SnapSports® to see his family and long time friends to share his ideas unmatched knowledge and a few laughs who have been there since the beginning. 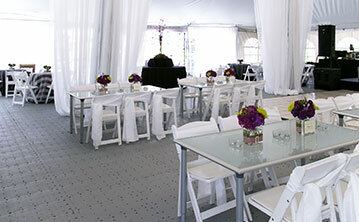 SnapSports is the only major ‘family owned & operated’ modular sports flooring manufacturer world-wide. 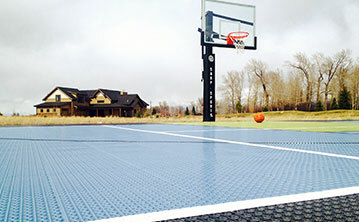 With over four decades of manufacturing experience going into every court they build, ensures customers are getting the most advanced sports flooring product on the planet.Based in Salt Lake City, Utah – The team at SnapSports® have been engineering, manufacturing, and providing the world’s leading outdoor multi-courts, basketball courts and indoor sport surfaces for over four decades! As the pioneers of the modular sports surfacing industry you play on today, the SnapSports team continues to develop the most advanced, multi-patented, modular sport surfacing and outdoor game courts for top athletes and families all over the world. With unparalleled experience and a high performance product line, SnapSports is the industry’s undisputed champion. SnapSports manufactures in their 150,000+ square foot ISO 9001:2008 Quality Certified operations 24×7 and is supported by over 100 employees and an authorized global dealer network. SnapSports® is the official sport surface provider for United States Futsal (USFF), AAU ‘Jam on It’ Basketball, Volleyball Festival, Special Olympics, AAU ‘All Under One Roof’ Basketball, Veteran Wheelchair Games, Colorado Crossroads, National Collegiate Roller Hockey Championships, AAU ‘Big Mountain Jam’, World Police & Fire Games and USA Team Handball. In addition, SnapSports is an approved partner of the IHF and a FIBA Technical Partner, the world’s governing body for the sport of basketball. RaceDeck®, the world’s leading manufacturer and supplier of premium garage flooring, has introduced their patented Free-Flow XL ®, the largest full-suspension garage floor module on the market. Free-Flow XL joins the top rated RaceDeck product line, already established as preferred flooring for garages, shops, and show rooms around the globe. The open-top design of Free-Flow is engineered for maximum airflow and superior drainage of liquids and debris. Free-flow’s patented channeled under-structure encourages liquids to flow away freely and evaporate, keeping you and your vehicles high and dry no matter the season. Free-Flow and Free-Flow XL provide increased safety in wet conditions making the product ideal for garages in harsh winter climates and areas with increased rainfall. The easy to clean surface, resistant to petroleum products and most household chemicals, makes for limited required maintenance all year round. 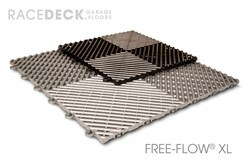 nlike key competitors, all RaceDeck flooring styles have the ability to interlock, creating limitless design possibilities for the garage enthusiast. Like its predecessors, Free-Flow XL was engineered using the superior manufacturing processes that have come to be associated with Racedeck, ensuring unmatched durability and cosmetic finish. With RaceDeck you are sure to have ‘The Coolest On The Block’™. RaceDeck®, the world’s number one garage flooring manufacturer and supplier, is now the official garage floor for the hit television show ‘My Classic Car’ shown on both the Velocity channel and MAVTV. Viewed by car enthusiasts across the nation, the weekly television program has entered its 17th season of highlighting classic automobiles. Now filming, the 2014 season will feature 26 episodes taking place in the recognizable garage of Host Dennis Gage now outfitted with a custom RaceDeck garage floor designed by Dennis himself. My Classic Car currently airs on Velocity and MAVTV channels (Discovery Network) , broadcasted to over 86 million viewers. 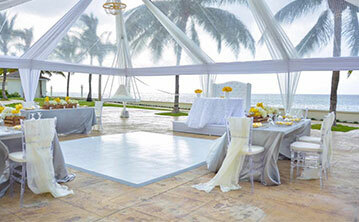 Episodes cover a variety of topics, from car collections, to classic car events, to outfitting garages. Currently on set filming, RaceDeck CEO Jorgen Moller, is pleased with the new sponsorship. Moller’s segments will feature information on the manufacturing, available flooring options and installation of RaceDeck along with two new product releases for 2014. SnapSports® has introduced the newest addition to their multi-patented sports flooring line, 50-50 ™, the largest high-performance modular sports surface in the industry. SnapSports® Athletic Surfacing has proven that ‘Size Does Matter’ with the introduction of their newest modular surfacing, 50-50. Now the largest available module on the market, the 50-50 is set to be the pinnacle of indoor sports surfacing, especially for competitive volleyball at every level of sport. 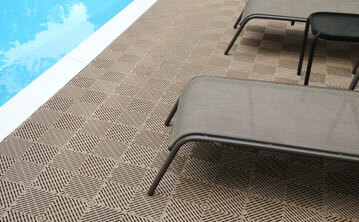 The half meter (Sq2) size of the 50-50 guarantees over 70% fewer seams than any competitor’s sport tile. This makes for a considerably more consistent surface during competitive play. 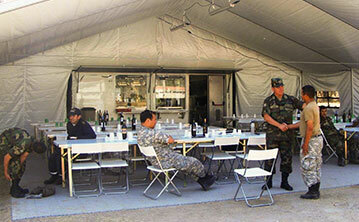 The largest module in the industry provides the fastest deployment of any suspended modular sport surface. We call this a SnapSportability™ that is ideal for tournaments, athletic showcases, and non-permanent floors. Conformance to international play standards certifies that this product will be available worldwide. The 50-50 is also available with SnapSports new dual-stage ShockTower® Technology, a full suspension floor system engineered with resilient shock absorbers within the substructure. An improvement upon the first generation of ShockTower, the dual-stage shock provides a primary and a secondary level of “give” designed to reduce the vertical impact on athletes’ joints and extremities. In combination with the ShockLock® lateral impact technology, the 50-50 surfacing makes play safer, allowing athletes to play for longer and prevent fatigue or injury.